An immense dust storm that may soon encircle Mars is threatening one of NASA’s rovers on the planet’s surface, with the vehicle becoming dormant and unresponsive at a site called Perseverance Valley, U.S. space agency officials said on Wednesday. 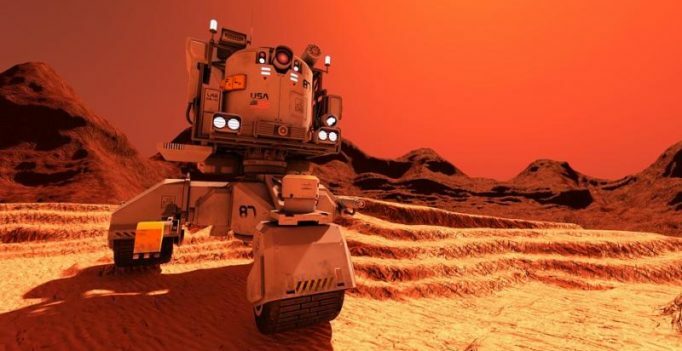 John Callas, Opportunity project manager at NASA’s Jet Propulsion Laboratory in California, said the solar-powered rover, with the sun, blotted out by an intensifying dust storm already engulfing a quarter of Mars, is no longer responding to commands. The six-wheeled robotic explorer relies upon electricity that its solar panels generate from sunlight. Opportunity and its twin rover, Spirit, which arrived the same month, both carrying a suite of scientific instruments to study the terrain, operating on opposite sides of the planet. Spirit ceased communications in 2010 after becoming stuck in sand.